A good kajal goes a long way. 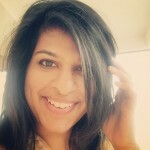 Most of you will agree when I say that the kajal forms an essential part of our everyday makeup routine. When you do not have the time to apply any makeup, a kajal is the first thing that most people pick up. It’s convenient to use, and when you emphasize your eyes, it adds life and expression to your face. Wouldn’t you say that finding the right kajal is a must if you’re going to be using it on an everyday basis? 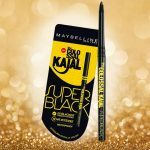 Well, then, read on to see if the Maybelline Colossal Kajal is the product that you’ve been looking for. It comes in a very modest looking packaging with a black and yellow design. This can be seen in both the outer packaging and the product itself. Much like other kajals these days, this one also comes in a retractable twist up model, which is great, since there is no wastage of the product. This is a complete win-win situation for me. It means that I can go for a good few months without needing to repurchase it. 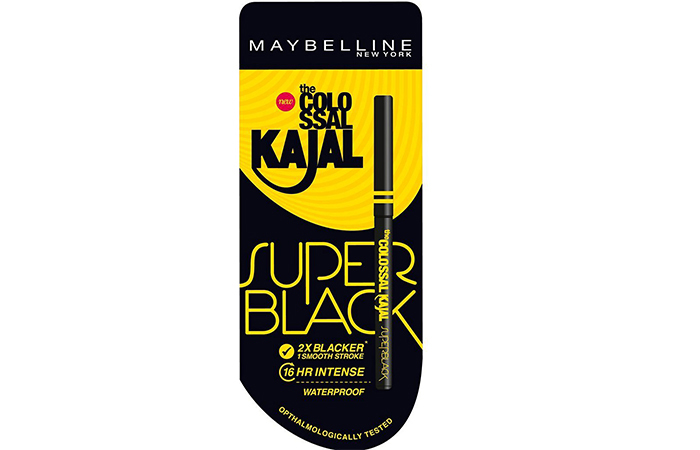 Smooth Finish: The Maybelline Colossal Kajal Super Black goes on extremely smoothly onto your eyes. Super Black: It contains light absorbing pigments that give you double the amount of blackness. Long Lasting: It also comes in a smudge-proof formula that keeps your eyes looking beautiful as ever for sixteen hours. All in all, this is a great product. The texture is brilliant. The product glides on ever so smoothly. I think I have to thank the oils in the kajal for that. I never have the problem of the product breaking off into tiny pieces while applying, which I love. It makes application on the eyelids extremely easy. Apart from that, I think that the pigmentation is incredible. It is quite dark, as they’ve said. It’s definitely more intense than the regular Colossal Kajal. However, I do find that it does not exactly turn out to be super black with just one swipe. You will need to apply it multiple times to achieve a dark shade. It stays put for a very long time without smudging, which is a huge plus. It’s also waterproof, which means that you don’t have to shy away from swimming and water sports if you are wearing this. Continue to be an adventurer! One downside is that if you have oily skin, the kajal may spread after a few hours. I’m also a huge fan of the twist up tube. This means that there is no wastage and that you get good value for money. It’s also very easily available in stores and online. The Maybelline Colossal Kajal is convenient to use and can be carried around everywhere. It doesn’t get messy or melt, which makes it safe to be put in your handbags. You can use them as a normal Kajal on your waterline, or go bold by using it as a base for your smokey eye makeup. At the end of the day, I’d say that the Maybelline Colossal Kajal Super Black is a great product for the price. Claims to stay for 16 hours; however, it begins to fade after the 12 hour mark on normal skin. You would need to set it with black eyeshadow if you have oily skin. Since it’s darker than the original Colossal Kajal, it looks way more intense and can be used on the waterline as well as the lashline. First, make sure to remove the paper packaging from the back. Remove the cap at the top and check to see if there’s enough product to apply. Twist the product from the bottom in case you need more. Swipe it onto your waterline. Add another coat if required for an intense look. Need some more insight as to how to make the best of this product? Well then, keep reading! If you’re someone who likes to stick to the age old traditional method of applying kajal like our ancestors did, then this is for you. Always make sure to start with clean eyes. Now, twist the product up till you can see the product and have enough to use. Swipe it along your bottom waterline twice. If you want to be a little bolder, go beyond the waterline and apply it on the lashline as well. Bright eyes are only an extra swipe away! Okay so, up until now, you’ve always been lining your entire lower waterline and lashline. However, if you are trying to make your eyes look bigger, then you shouldn’t be doing this. Lining them only in the outer corner and highlighting the inner corner will make your eyes appear bigger. Once again, start with clean eyes. Apply the product near the upper lashline and tightline the upper waterline. Now, apply the kajal on your lower water and lashline but only in the outer corner. Using a small fluffy brush, soften it out and bring it towards the center. This will make it look subtle and blended so that there aren’t any harsh lines. You can never go wrong with a smokey. Whether it’s a colored smokey or just a black one, it’s always a winner for nights out. First, start off by applying the product to the lower waterline and lashline. Now smudge out the lashline to make it look smokey. Lastly, apply the product all over the eyelid and smudge it out with either a brush or your fingers. You can leave it as it is, or swipe some kajal on your upper lashline to make it look intense. Although this kajal is smudge-proof, it can be easily removed with either a makeup remover or some coconut oil. You will need to use a cotton pad for the entire eye area and a cotton swab for the lashline. Dab some makeup remover or coconut on it and rub it softly over the eyes till the product comes off. Go for the cotton swab for a more detailed and precise removal. Cleanse your face with a wash and make sure to follow it up with your regular skincare routine. Yes! If you’re anything like me and are looking for the most intense black kajal, but still want to keep it matte, then this is definitely the kajal you should check out. 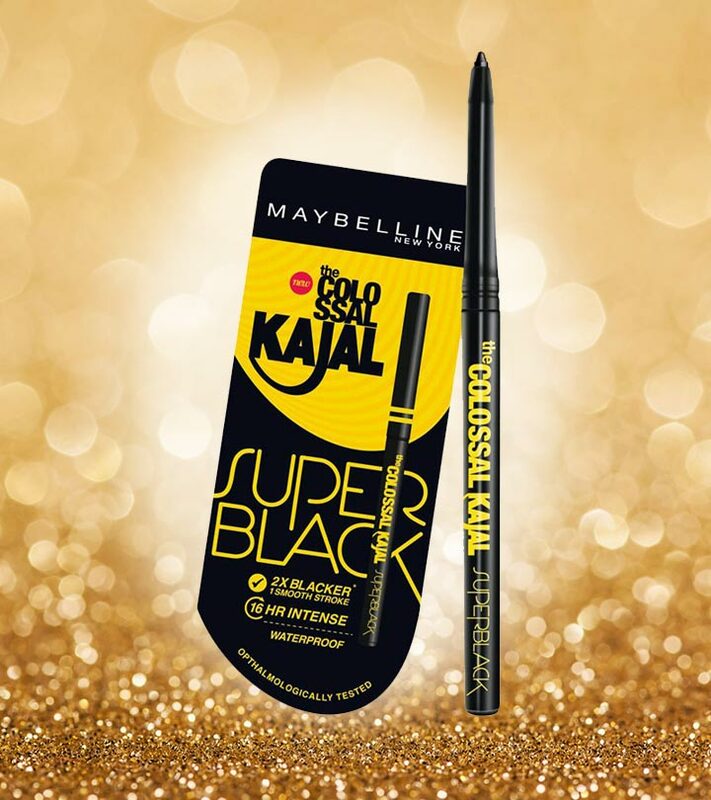 Maybelline has always done well in their market, and it is no exception with their Colossal Kajal in Super Black. The texture, the finish and the pigments, all combined, are what make this product really stand out. Try it out and let us know what you think. Have you found your perfect kajal yet?